The next few nAma-s are interpreted by SrI BhaTTar in terms of the grandeurof bhagavAn, consisting of His superhuman powers such as becoming smaller than an atom, etc. a) He Who has the power of being smaller than anything small thatis known to us. b) He Who is the cause of the sound that permeates everywhereand is in everything (aNa - Sabde). c) He Who is in the form of the veda-s, orHe Who reveals the veda-s, the SAstra-s etc. (aNa - Sabde). This is the first of the ashTa aiSvarya-s mentioned above - aNimA. The wordaNuh is formed from the root aNa - to sound, through the application of theuNAdi sUtra - aNaSca (1.8), which states that the affix u comes after the rootaNa. The term aNu refers to an atom, and here it is used to refer to bhagavAn'spower of becoming smaller than the smallest object that is known. a) SrI BhaTTar comments that the nAma signifies His ability to enter into theinfinitesimally small void space known as dahara AkASam in the hearts of beings,into prakRti, and also into the subtle jIva. aNu here means that He is extremelysubtle. SrI BhaTTar refers us to the taittirIya Upanishad - aNor-aNIyAn - He issubtler than whatever we perceive as subtle. These aISvarya-s or powers are natural to Him. SrI v.v. rAmAnujan points outthat some of these powers are also given to those who have His anugraham orblessing. He gives the example of Hanuman, who had the ability to alternate between a very large form and a very small form at will in an instant, indealing with surasA (sundara kANDam). SrI Sa'nkara gives the support from muNDAkopanishad - esha aNur_AtmA cetasAveditavyah - This Self (paramAtman) is inscrutable, and is to be known throughthe mind. - aNor-aNIyAn (kaTha. 2.20, tait. AraN. 10.1)- na hi su-j~neyam aNur-esha dharmah (kaTha. 1.21) - The truth is very subtle and not easily comprehensible.- yad-aNubhyo'Nu ca (muNDa. 2.2.2) - That which is subtler than the subtle. - aNIyAn hyatarkayam anU paramANAt (kaTha. 2.8) - It is subtler than the subtle and beyond realization through reasoning alone.- esha sa AtmA antar-hRdaye aNIyAn vrIher-vA yavAd-vA sarshapAd-vA SyAmAkAd-vA SyAmAka-taNDulAd-vA. (chAndog. 3.14.3) - This paramAtman who is residing in my heart is smaller than a grain of rice, a barley corn, a mustard seed, the grain a millet, etc. - Sa ya esho aNimA (chAndog. 6.8.7) - This (sat) is of the nature of being subtle. SrI cinmayAnanda gives the support from the gItA - sarvasya cAham hRdisannivishTah - "I am seated in the hearts of all". b) SrI satyadevo vAsishTha notes that it is by His aNutvam that He is presenteverywhere, and permeates everything, including the subtle jIva. He also givesan interpretation based on the root aNa - Sabde - to sound, and indicates thatthe nAma suggests that He is in the form of the sound that pervades the ethereverywhere, and is also the cause of the sound that emanates from the differentlife-forms etc. c) SrI kRshNa datta bhAradvAj gives his interpretation based on the meaningaNati - Sabdayati - makes known, reveals - aNati Sabdayati vedAdi SAstram itiaNuh - He Who reveals the SAstra-s such as the veda-s etc. We will note that SrIbhAradvAj does not follow the approach of interpreting this nAma and thefollowing ones in terms of the ashTa aiSvarya-s, but gives interpretations thatare not linked to each other. This nAma describes His aiSvarya or power calledmahimA - of becoming greater than anything that we know of as great. Thereference here is to His power of vastness, in contrast to the aNutva that we saw referenced in the previous nAma. The root from which the nAma is derived is bRh- vRddhau - to grow, to increase. SrI BhaTTar describes His greatness interms of His pervasion. Even the vast Transcendental World (parama padam) can becontained in a corner of His palm. Note that parama padam is tripAd-vibhUti -three times as large as the Universe that we are aware of. tiruma'ngai AzhvArrefers to bhagavAn as "aLattaRku ariyAy" (tirumozhi 3.8.1) - He whocannot be measured. SrI BhaTTar gives the purusha sUkta - sa bhUmim viSvatovRtvA atyatishTat daSA'ngulam - He pervaded the Earth in all its entirety andstood up beyond by daSa-a'ngula. daSa here means endless, and a'ngula meansyojanA. He gives other supports from the Sruti: - mahato mahIyAn (tait. upa.6.10) - Greater than the great. - varshIyAnSca pRthivyAh - He is greater thanthe Earth. SrI rAdhAkRshNa SAstri gives additional Sruti references: - abjA gojARtajA adrijA Rtam bRhat (kaTha. 2.2.2) - …The water-born, the earth-born, thesacrifice-born, the mountain-born, the Truth, the Great…. - tatah param brahmaparam bRhantam (SvetASva. 3.7) - After thus praying unto Him and then knowing(through meditation) the infinitely great Supreme Brahman.. Note that this aiSvarya of mahimA is exactlyopposite of the aiSvarya we dealt with in the previous nAma – aNimA. We will see a few more of these pairs of extremes in the next few nAma-s. It is to be understood that there is nothing that is beyond His ability. SrI cinmayAnanda captures the idea as follows: “These two may seem paradoxical, but the apparent contradiction dissolves into an illuminating experience for the contemplative mind”. In fact, the upanishad talks of these two qualities in the same breath– aNor-aNiyAn mahato mahIyAn AtmA’sya jantor-nihitam guhAyAm (kaTho. 2.20)– Subtler than the subtle and great than the great… is lodged in the cave ofthe heart…. SrI Sa’nkara vyAkhyAnam is – bRhatvAtbRmhaNantvAt ca bRahma bRhat – Because of the hugeness and because of theability to expand at will indefinitely, He is called bRhat. SrI kRshNa datta bhAradvAj continues hisinterpretation outside of the context of the ashTa aiSvarya-s: <>barhati vardhate pratipadam SobhAyAm iti bRhat – He Who enhances orincreases the beauty of everywhere. Whateverbeauty exists in anything, is because of Him. SrI satya sandha yatirAja interprets the nAma as:guNaih vRddha – He Who is enhanced in His guNa-s. or auspicious qualities. 841. kRSah – a) He Who is lighter than the light.b) He Who is thinner than anything thin.c) He Who reduces or eliminates the difficulties to His devotees. d) He Who pares down the form for the jIva-s to make it possible for them to live in comfort.e) He Who makes `light work' of the asura-s (i.e., He Who destroys the asura-s).Om kRSAya namah. This nAma represents another of the ashTa aiSvarya-s, called laghimA, or theability to be lighter than anything that we know is light. The root from whichthe nAma is derived is kRS – tanUkaraNe – to become lean or thin. The nAmais interpreted as referring to the ability to be lean or thin, or to be light,depending on the interpreter. SrI BhaTTar interprets the nAma in terms of Hisability to be lighter than anything light, and Sri Sa'nkara interprets the nAmaas One Who can be thinner than anything thin, to the point of not having a form. a) SrI BhaTTar explains that He is lighter than cotton, wind, etc., and soHis movement is unimpeded on all sides and in all respects – sarvatra avyAhatagatih. He quotes from mahA bhArata in support – yatra-kAma-gato vaSI – Hecan go wherever He chooses. SrI baladeva vidyA bhUshaN's anubhavam is that bhagavAn is so thin that Hecan be even inside a rock unobstructed, because of His kRSatvam – leanness orthinness - SilAsvapi apratihat praveSatvAt kRSah. b) SrI Sa'nkara vyAkhyAnam is: asthUlam ityAdinA dRSyatva pratishedhAt kRSah– He Who can become so thin that He is devoid of visibility. One interpreterhas the given the text is "dravyatva pratishedhAt – because He does nothave a form. A translator translates this as "One Who is of the form ofnon-material Spirit". SrI Sa'nkara quotes the bRhadAraNya Upanishad insupport – asthUlam (BU 3.8.8)– He Who is not of a gross body. He might havechosen this interpretation – asthUlah, because of the next nAma – sthUlah(as the opposite of the next nAma). SrI rAdhA kRshNa SAstri summarizes this nAma and the next one, by observingthat the question of whether bhagavAn is One Who is lean or hefty, can beanswered only if He can be seen, to start with. If He is either so huge that wedo not even see Him, or so lean that we cannot see Him, then the question ofwhether He is lean or huge cannot be answered. That is the Nature of bhagavAn,whom we cannot see. In fact, the passage that SrI Sa'nkara quotes frombRhadAraNya Upanishad, referring to bhagavAn as asthUlam, in the very next wordsays that bhagavAn is an-aNu also – asthUlam an-aNu. The pointto be understood is that He can be whatever He chooses to be, whenever Hechooses to be, and He can become anything He wants in the minutest fraction oftime. The Sakti or aiSvarya that is described in the current nAma specifically,is His ability to become as light as He chooses or as thin as He chooses, at HisWill. We saw bhagavAn described as aNu, and in the next nAma He was described asexactly the other extreme, bRhat. In the current nAma we see Him describes askRSah, and in the next nAma we will see Him described as its other extreme,sthUlah. SrI cinmayAnanda notes that this is an example of how "the Rshi-shave made an art of effectively employing terms of contradiction in order tobring the incomprehensible within the cognition of the students ofcontemplation". We have already seen some examples of this in theupanishadic passages in the last few nAma-s.
c) SrI kRshNa datta bhAradvAj's interpreation is: kRSyati tanUkaroti svajanavipadam iti kRSah – He Who reduces or eliminates the difficulties to Hisdevotees. d) SrI satyadevo vAsishTha also gives an interpretation that is not based onthe ashTa aiSvarya concept. He takes the generic meaning for the root – kRS– to make lean, and gives the meaning that the nAma refers to bhagavAnarchitecting the creatures of the features in various forms by paring them downas needed for their survival and comfort. SrI vAsishTha equates the nAma kRSahto the nAma tvasTA in its essential meaning (Slokam 6, nAma 52). He Who destroys the evil asura-s.
a) He Who is immense. b) He Who grows or enhances enormously the wealth of His devotees. The root from which the nAma can be derived is sthUl - paribRhamaNe - tobecome big or stout, grow bulky or fat. Note that the previous nAma was kRSah -One Who can become as lean or thin as He wishes. Now we have the nAma thatdescribes the aiSvarya of His ability to become as big as He wishes. a) SrI BhaTTar comments that since bhagavAn has the ability to touch anyobject in any world even while standing in one place, He has the nAma sthUlah.The trivikrama incarnation is an obvious illustration of His aiSvarya calledprApti, that is reflected in this nAma - sthUlah. SrI v.v. rAmAnujan givesreferences to nammAzhvAr - tAL parappi maN tAviya ISan (tiruvAi. 3.3.11), and toANDAL's tiruppAvai - O'ngi ulagaLanDa uttaman. "The paramAtman is unmoving; The One without an equal; swifter than themind. The gods have not attained It, even though It has reached them. Remainingstationary, It overtakes others who run ahead of It. By It, vAyu bearswater". "He is One with countless heads, countless eyes, and countless feet. Hepervades all space, and it is not possible to measure His extent by our ordinaryknowledge of means of measurement". Because He is the Soul of everything, He is figuratively called sthUlah or`Huge". Since bhagavAn is in the form of the infinite brahmANDa-s or Universes, He isstUlah. SrI rAdhAkRshNa SAstri comments that as a consequence of His aiSvarya orpower of being aNu, bRhat, kRSah, sthUlah, etc., at will, no one can comprehendHim from one moment to the next. SrI SAstri draws attention to the similarity ofthis nAma to the nAma `sthavishTha (53 and 437, Sloka-s 6 and 47). Thesimilarity arises because `sthavishThah' is made of the words `sthUla' and `ishTha',giving as one of the meanings "He Who has Willed to be huge". Amongthe other interpretations for the nAma sthavishTha are that bhagavAn manifestsHimself in the form of the huge brahmANDa, the huge constellation of stars andgalaxies, etc. He Who grows or enhances enormously the wealth of His devotees, is sthUlah. Note that the `wealth' for the devotees can be in the form of their enjoyment inperforming kainkaryam to Him and to His devotees in this world, and need notnecessarily refer to material wealth only. a) The Supporter of all that are subject to Him. b) He Who supports the three guNa-s of sattva, rajas, and tamas. c) He Who bears (has) infinite kalyANa guNa-s.
guNa refers to attributes such as dayA, dAkshiNya, etc., and also to thethree attributes – sattva, rajas, and tamas. The root from which the part bhRtis derived is bhR – dhAraNa poshaNayoh – to hold, to support. Theexplanation given by SrI vAsishTha for the nAma is: guNa dayA dAkshiNyAdayahsatva rajas tama AdayaSca, teshAm bhRt = dhAraka ityarthah – Because of Hisquality of Mercy and compassion, He supports the three guNa-s of sattva, rajasand tamas, that distinguishes between the different beings. a) SrI BhaTTar expands the meaning of guNa-bhRt to cover everything that issubject to the three guNa-s. He interprets the nAma as a reference to bhagavAn’ssupreme power of ruling over all by making all things in all their statessubject to Him, and supporting them. By His mere Will (sva-sankalpena), Hesupports all of them in their different states. So He is called guNa-bhRt. Thusthis nAma is an expression of His aiSvarya or power of ISitvam – Lordship. Hegives the support from the Upanishad – sarvasya vaSI sarvasya ISAnah (taitt.Upa. 6.1) – He keeps all under control and rules over them all. b) SrI Sa’nkara’s vyAkhyAnam is: sattva rajas tamasAm sRshTi sthiti layakarmasu adhishThAnatRtvAt guNa-bhRt – Since He supports the guNa-s of sattva,rajas, and tamas to varying degrees in the different beings as part of Hisfunctions of creation, preservation and destruction, He is guNa-bhRt. SrIbaladeva vidyA bhUshaN gives a similar interpretation – guNAn sattvAdInbibharti iti guNa-bhRt. Both SrI vAsishTha and SrI cinmayAnanda comment that He supports the threeguNa-s by assuming the sattva guNa in His process of creation, the rajo guNa inthe process of preservation, and the tamo guNa in the process of destruction orannihilation – in this sense, He is the ‘Bearer’ of the three guNa-s.
c) SrI kRshNa datta bhAradvAj gives the explanation – guNAn j~nAna AnandamAdhurya vAtsalyAdIn bibharti iti guNa-bhRt – He Who possesses the qualitiessuch as perfection in knowledge about the past, present and future of everythingat all times, absolute bliss, the ability to be kind and sweet even to theenemies, attachment to His devotees like that of a cow to its calf, etc. SrIsatya sandha yatirAja also gives an interpretation along similar lines – guNAnAnandAdIn bibharti it guNa-bhRt. 844. nir-guNah – He Who is bereft of the qualities (common toothers). The term guNa here refers to the three guNa-s –sattva, rajas, and tamas,that are characteristic of prakRti. Since He is untouched by these guNa-s andtheir influence, He is called nir-guNah. While bhagavAn is the Supporter of thethree guNa-s in prakRti (guNa-bhRt), He himself is beyond the influence of theguNa-s. The nAma-s guNa-bhRt and nir-guNah are outwardly contradictory, but inthe case of bhagavAn, they are consistent guNa-s as we see in theinterpretation. - viSvasya mishato vaSI (taitt. 3.6.1) – He bewitches the entire world withits wide-open eyes. - sattvAdayo na santISe yatra ca prAkRtA guNAh (vishNu purA. 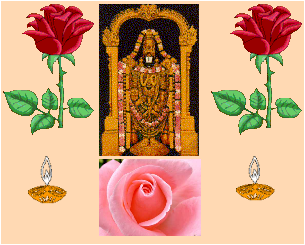 1.9.44) –sattva and other guNa-s that are in the prakRti have no place in bhagavAn, theRuler. SrI kRshNa datta bhAradvAj gives the explanation – prAkRta guNa-trayavirahitatvAt nir-guNah. SrI satya sandha yatirAja gives a similar interpretation– sattvAdi guNa rahitatvAt nir-guNah. SrI Sa’nkara’s interpretation is: vastuto guNa abhAvAt nir-guNah. This istranslated as “He Who is devoid of all guNa-s” by followers of the advaitasampradAyam. SrI Sa’nkara gives support from the upanishad – sAkshI cetAkevalo nir-guNaSca (SvetAS. 6.11) – He Who is the witness in everyone, but whois not tainted by the three guNa-s in them. a) He Who is supreme in everything. b) He Who is Great beyond comprehension. c) He Who is worthy of worship, and worshiped by the likes of indra. The root from which the nAma is derived is maha – pUjAyAm – to honor, to delight, to increase. mahAn means “One who is worthy of worship”. a) SrI BhaTTar explains the nAma mahAn in terms of His supreme excellence in everything - parama prakarshAt mahAn. He can plunge into the earth as He wishes, and emerge out of it as He wants, just as we can enter water and get out of it at will. In the context of the ashTa aiSvarya-s, SrI BhaTTar explains the current nAma as signifying the aiSvarya known as prAkAmyam (irresistible will), the power of achieving whatever He desires. SrI rAdhAkRshNa SAstri describes prAkAmyam as the ability to enter others’ mind at will, make them remember or forget things at will, etc. “The powerful Lord, Sauri, acts as He chooses. He unites and separates things as He likes. Whatever He chooses to do, He can accomplish it without any effort”. SrI Sa’nkara explains the nAma in terms of the impossibility of constraining Him to a description even for the sake of discussion – tarkato’pi yato vaktum na Sakyam, because He is “One to whom sound and other attributes have no reference, One who is immeasurably subtle, One who is ever pure and all-pervading, One about whom anything in the nature of an obstacle cannot be advanced’. b) SrI rAdhAkRshNa SAstri explains the nAma as signifying that He is beyond comprehension and description by words, thoughts or other means. For instance, the previous six nAma-s described Him first as one extreme, and then as the other extreme (small, big, thin, huge, full of guNa-s, devoid of guNa-s). He is unconstrained by form, space, time, etc. So He is referred to as mahAn. SrI cinmayAnanda echoes the same thought – “He is not conditioned by the five elements, nor by time and space”. c) SrI kRshNa datta bhAradvAj continues his independent style for this set of nAma-s: mahyate pUjyate brahmAdibhih iti mahAn - He who is worshiped by the likes of brahmA is mahAn – based on the root maha – pUjAyAm. The generic meaning is “mahyate = pUjyate iti mahAn” – He Who is worthy of worship (SrI vAsishTha). SrI baladeva vidyA bhUshaN gives the interpretation – sarvaih abhyarcayatvAt mahAn – He is called mahAn becaue He is worshipped by everyone. The root from which the nAma is derived is dhR – dhAraNe – to hold,to support. While SrI BhaTTar explained the previous nAma (mahAn) as a reference to bhagavAn's superior power to achieve anything, he explains the current nAma as a reference to His being totally unobstructed or unconstrained in His ability to achieve anything He wants. Thus, the two nAma-s together mean "He Who has the power to achieve anything He wants, without any constraint or limitation". He gives the example of bhagavAn first giving paramapadam to the sons of thevaidika brAhmin, and then bringing them back to this world and giving them rebirth because of His will to bring them back to this earth,even though normally one who goes to paramapadam is never reborn. SrI v.v. rAmAnujan indicates that the aiSvarya called prApti – theability to achieve anything, is indicated by this nAma. SrI Sa'nkara's interpretation is that bhagavAn is the Supporter ofeverything else that exists, while He Himself is not supported by anything else – pRthivyAdInAm dhArakANAmapi dhArkatvAt na kenacitdhriyata iti a-dhRtah. SrI satyadevo vAsishTha rhetorically asks thequestion – yo hi sarvasya dhAtA sa kena dhRtah syAt? - How can He be supported by anything when He is the Supporter and Sustainer ofeverything? SrI cinmayAnanda gives the example that just as cottonis the support behind the cloth, gold is the support behind the golden ornaments, and mud is the support behind the mud pot, so alsobhagavAn is the support behind everything in the universe, and we should meditate on SrIman nArAyaNa as the support behind us. - sva-dhRtah – He is superior over the baddha-s who may have some ofthe same ashTa aiSvarya-s that we saw above, through meditation , prayer, etc. -svAsyah – He is superior over the mukta-s, who have a status equivalentto Him in many respects, but who were once clouded by nescience. - prAg-vamSah– He is superior over the nitya-s, the eternal souls in SrI vaikunTham, sinceHe is their origin, source and eternal support. Then SrI BhaTTar concludes the gist of the three nAma-s with the next one, vamSa-vardhanah,as referring to bhagavAn being the One who fosters and grows all the threecategories of jIva-s. Because of this thread between the four nAma-s in SrIBhaTTar's interpretation, we will look at the four nAma-s together. First, wewill deal with his interpretation for all the four nAma-s, and then look at theanubhavam of the other vyAkhyAna kartA-s.
847a. sva-dhRtah – He Who isSelf-sustained. Following on the previous nAma, sva-dhRtah means "One Who is self-supporting". SrI BhaTTar comments that the nAma declares that HisSovereignty does not depend on anything else, and is innate and natural to Him.This distinguishes the sublime nature of paramAtman from the greatness that thebound souls (baddha jIva-s) can acquire through meditations, austerities etc.BhagavAn's sublimity is not dependent on meditation or austerities, but isnatural to Him. All the other gods, who are all enjoying the effects of their karma-s likethe rest of us, are established and supported by Him so that they can beconsidered gods – niRuttinAn daiva'ngaLAga ad-daiva nAyagan tAnE (tiruvai.5.2.8) – The other gods have been established by Him like tax-collectors, andwill fall from grace if He does not support them. BhagavAn is poru il taninAyagan (tiruvAi. 5.10.8) – The One and Only, incomparable, Supreme Deity –eko ha vai nArAyaNa AsIt. a) He Who has a glorious status. Asya refers to `status', and is derived from the root As – upaveSane - tosit (e.g., Asanam). This is the meaning that Sri BhaTTar uses. The word Asyam isalso used to refer to `face'. We will see later that SrI Sa'nkara uses thissecond meaning in his interpretation. a) SrI BhaTTar's interpretation for the nAma is "One Who has a gloriousstatus". The nAma can be looked at as su = SobhanA, SobhanA AsyA yasya sasvAsyah – One Who has a magnificent or superior status; or, Asanam AsyA,svayam svasmin AsyA yasya sa svAsyah (SrI vAsishTha) – One Who has His owninnate natural superior status. SrI BhaTTar notes that even though in SrI vaikunTham, the mukta-s have sAmyamwith bhagavAn in their status, His status is superior in the sense that it wasnever subject to nescience at any time, unlike in the case of the mukta-s. SrIrAdhAkRshNa SAstri summarizes this explanation as "One Whose status is suchthat it never was, is, or will be, tainted by ignorance etc". Thus, Hisstatus is uniquely superior to that of the mukta jIva-s.
849a. prAg-vamSah – He Who is thecause of the eternally free souls. prAk means "first, foremost, earliest". vamSa literally means`race'. SrI BhaTTar interprets the term `prAk' to refer to the nitya-s, or theeternally liberated souls who have been in SrI vaikunTham from the earliest oftimes. He interprets the term `vamSa' as meaning `support' or `AdhAra'. Theirexistence, their ashTa aiSvarya-s or powers, are all derived from His grace andwill. Thus, SrI BhaTTar gives the explanation for the nAma as "He Who isthe eternal support for the foremost souls – the nitya sUri-s in SrIvaikunTham". In interpreting the term `prAk' to refer to the nitya-s, SrIBhaTTar uses the purusha sUkta passage in support: yatra pUrve sAdhyAh santidevAh – parama padam is the place of vishNu where from time immemorial thesAdhya devatA-s (the eternally free Angels) live. SrI rAdhAkRshNa SAstri notes that it is customary to name the different racesafter someone who is very important and prominent in that race – for instance,the candra vamSa, the sUrya vamSa, the raghu vamSa, the yadu vamSa etc. In thissense, bhagavAn is the foremost in prAg-vamSa – the vamSa of the nitya-s.
850a. vamSa-vardhanah – He Whokeeps His progeny growing. "The deva-s, nitya sUri-s, etc., offer obeisance to the Lord inuncoordinated words – because they are overwhelmed with their feelings on thethought of the Lord, and declare that He is the medicine that offers them theirbhogam or enjoyment, the tonic for that enhances their happiness, pleasure oflife and sustaining force". This is the real growth – vardhanam, the ever-increasing pleasure inworshipping Him and doing kainkaryam to Him and to His devotees that is to besought in life. vamSam bhaktAnAm vardhayate iti vamSa- vrdhanah – He Who grows His devotees. So far, we dealt with SrI BhaTTar's vyAkhyAnam for the four nAma-s:sva-dhRtah, svAsyah, prAg-vamSah, and vamSa-vardhanah. Now we will look at theanubhavam of the other interpreters. b) He Who is self-supporting (sva referring to Himself). c) He Who is held in their minds by His devotees (sva referring to sva-janAh,the devotees). d) He Who supports the prosperity of His devotees (svam – dhanam). SrI Sa'nkara quotes the chAndogya upanishad in support – sa bhagavahkasmin pratishThita iti, sve mahimni (chAn. 7.24.1) – "Where does thatImmensity abide, Sir?" "It abides in Its own glory." SrIrAdhAkRshNa SAstri points out that by logic, anything that supports something issupported by something else. If the question is continually asked, there comes apoint at which we realize that everything else is supported by One, the SupremeSelf. SrI kRshNa datta bhAradvAj gives the meaning sva-janah to the term sva, andgives the interpretation – svaih sva-janaih dhRtah citte iti sva-dhRtah – HeWho is held in their minds by the devotees. SrI satya sandha yatirAja gives a different perspective – he interprets theterm svam as referring to dhanam – wealth, and gives the interpretation –svamdhanam dhRtam yena iti sva-dhRtah – He Who supports and sustains prosperityand well-being in everything else. b) He Who has a countenance that is naturally beautiful. c) One Who has a beautiful face also because it is the source of the veda-s.
We saw earlier that SrI BhaTTar has used the meaning `status' for the wordAsya - derived from the root As – upaveSane - to sit (e.g., Asanam). b) The word Asyam is also used to refer to `face' – asyate kshipyatenavanItAdih asmin iti Asyam (amara koSa vyAkhyAnam, based on asu – kshepaNe– to throw). SrI Sa'nkara uses this second meaning. SrI Sa'nkara's interpretation for thr nAma is: "One Who has a beautifulface" – su = Sobhanam, padmodara talavat tAmram abhirUpatamam asya Asyamiti svAsyah – He Whose face is rosy like the inside of the lotus. SrI kRshNadatta bhAradvAj also gives the same interpretation – Sobhanam Asyanm vadanamyasya aiti svAsyah. c) Alternately, SrI Sa'nkara explains that the beauty of the face is alsoreflected in the fact that the veda-s emanated from His mouth – vedAtmakomahAn SabdarASih tasya mukhAt nirgatah purushArtha upadeSartham iti svAsyah. Hegives support from the Upanishad: asya mahato bhUtasya niS-Svasitam etat Rg-vedoyajur-vedah sAma-vedah atahrvA'ngirasa itihAsah purANam vidyA upanishadah SlokAhsUtrANi anuvyAkhyAnAni vyAkhyAnAni asyaiva etAni sarvANi niS-SvasitAni. (bRhad.Upa. 2.4.10) – The veda, the upanishads, the purANa-s, the sUtra-s, etc., allarose from His vital breath. b) He from whom the first race (namely, the universe itself) originated. c) He from whom, brahmA, the first of all those that were created, originated. d) He Who moves around majestically, and whose greatness is expressed clearly orloudly. prAk means "first, foremost, earliest". vamSa literally means`race'. b) SrI Sa'nkara interprets the term `prAg-vamSah' as referring to the firstrace being the universe, after which alone all the other races came intoexistence. Since the universe originated from vishNu, He is called prAg-vamSah– asya vamSah prAgeva, na pAScAtya iti prAg- vamSah. c) SrI kRshNa datta bhAradvAj interprets the term vamSam as referring toprogeny, and he takes the term prAg to refer to catur-mukha- brahmA, and givesthe explanation that the nAma means "One Who has brahmA as His progeny –prA'ncati it prAg brahmA; sa vamSah santAno yasya iti prAg-vamSah. d) SrI vAsishTha derives the meaning from the root a'nc – gati=pUjanayoh– to go, to worship, and takes the meaning `to go' for the current context forthe root a'nc. Based on pANini, he derives the meaning: pra + a'ncu + kvin =prA'nc (pANini 3.2.59) – being in front, directed forwards. Using the root van– Sabde sambhaktau ca - to sound, to honor, to aid, SrI vAsishTha gives theexplanation for the nAma prAg-vamSah as: prakarsheNa a'ncati = gacchati, vanati= SabdAyate sambahajate ca – prAg-vamSah – He Who moves around majestically,and whose greatness is expressed clearly or loudly. (The explanation in Hindithat is given by a translator is: prakarsha se caltA huA jo Sabda yA sambhAgkartA hai uskA nAm prAg-vamSa hai). b) He Who keeps the Universe growing (vRdh – to grow). c) He Who cuts off the Universe at the appropriate time (vardh – to cut). Recall that SrI BhaTTar had interpreted the nAma vamSa-vardhanah, as asummarization of the previous three Nama-s - sva-dhTtah, svAsyah, andprAg-vamSah, and gave the meaning to vamSa-vardhanah as One Who keeps all thethree kinds of jIva-s growing (vardhana) in their anubhavam of enjoyment throughdevotion to Him. b) SrI Sa'nkara gives the meaning for the nAma as "He Who expands theuniverse", based on vRdh – to increase – vamSam prapa'ncam vardhayanvamSa-vardhanah. SrI satya sandha tIrtha gives the example of His growing the vamSa of pANDava-sby protecting parIkshit – parIkshit-samrakshaNena pANDu- kulam vardhayati itivamSa0vardhanah. SrI baladeva vidyA bhUshaN quotes the growth of yadu vamSaitself as the example of His being vamSa-vardhanah – vamSam yadoh vardahayatiiti vamSa-vardhanah yatra shaT pa'ncASat koTayah pradhAna bhUtA babhUvuh - wherethere were numerous prominent yAdava-s.
c) An alternate interpretation given by SrI Sa'nkara is based vardh –chedane - to cut: prapa'ncam chedayan vA vamSa-vardhanah – He Who withdrawsthe universe. SrI rAdhAkRshNa Sastri gives the specific example of Lord kRshNadestroying the yadu vamSa just before He decided to leave this world for SrIvaikunTham (SrImad bhAgavatam 11.30).